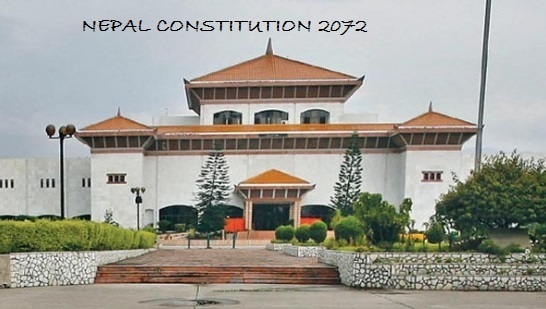 Well, Constitution of Nepal, Nepalese long awaited constitution is going to arrive in few moments from now. It is about 5:28 pm and the president of Nepal, Ram Baran Yadav is going to arrive soon in the constitution assembly Hall on 5:48 pm and he will declare our new constitution. I’m inside my room with my mom and my son sleeping aside. My wife was here just before few minutes but she has gone outside for the shopping.yes! we are watching Kantipur TV and listening to the commentary from the constitution assembly Hall, New Baneswor, Kathmandu. It has delayed for some times because Until 4 pm, Government has appealed a to the dissatisfied Madhesi’s party to come back to the stream line. All the delegates are arriving now. Yes!!! It’s now 5:44 pm, THE PRESIDENT OF NEPAL HAS JUST ARRIVED !!! AND DECLARED THE NEW CONSTITUTION OF NEPAL!!!!!!!!!! ← In the morning, dew falls off pure and clean!! I would like to thank you for the efforts you have put in writing this website. I’m hoping the same high-grade blog post from you in the upcoming also. Actually your creative writing skills has inspired me to get my own site now. Actually the blogging is spreading its wings fast. Your write up is a great example of it. Thanks for any other informative site. The place else could I get that kind of information written in such a perfect way? I have a mission that I’m simply now running on, and I have been on the look out for such information. fantastic issues altogether, you simply gained a new reader. What could you recommend about your post which you produced some days inside the past? Any positive? thank you dearly author , I found oneself this internet website quite useful and its full of excellent healthy selective data ! , I as well thank you for the great food program post. Rattling exceptional information can be located on web blog . Great web site. Lots of useful information here. I¡¦m sending it to several friends ans additionally sharing in delicious. And naturally, thank you for your effort! Hello.This post was really remarkable, especially since I was looking for thoughts on this matter last week. So content to have identified this submit.. Amazingly beneficial perspective, appreciate your sharing with us.. Is not it great when you get a very good post? certainly, study is having to pay off.